Congratulations to Dr. Yun Qian, atmospheric scientist at Pacific Northwest National Laboratory, who was selected to serve as a member of the Atmospheric Chemistry and Physics (ACP) editorial board beginning September 2015. 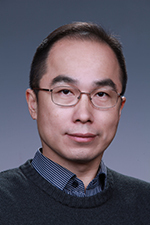 As editor, Qian will review manuscripts submitted to the journal using his expertise in regional and global climate modeling, aerosol-climate interactions, water-land-atmosphere interactions, and uncertainty quantification in climate modeling. An international scientific journal, ACP is known for the publication and public discussion of high-quality peer-reviewed studies. These publications highlight the underlying chemical and physical processes to understand the Earth's atmosphere ranging from the land and ocean surface up to the turbopause. Studying atmospheric aerosol and its climatic impact, Qian's research covers climate modeling and aerosol-climate-water interactions. He is leading projects investigating the impacts of snow and ice impurities on climate and water resources, and the aerosol sub-grid progress and parameterizations in climate models. Qian's research has contributed to remarkable impacts in the scientific community. Qian's research has been prominently featured in the journals Nature and Science, as well as news media such as The New York Times, the BBC, China Daily, and others. He has authored and co-authored over 100 peer-reviewed papers in international journals and garnered more than 4,000 citations. Qian received his Ph.D. in Atmospheric Science from Nanjing University and joined PNNL in 2000.